In the winter months I find I do a lot more watching, reading, and listening to entertainment than I would in the warmer months, so fitting for January, I've been enjoying a lot of down time in this way and have tons to share! Last week I treated myself to a very unusual and lovely thing: a solo, mid-day trip to the movies. Since B and I rarely like the same movies and neither of us watch them too often anyway, we almost never go to the cinema together. If we are splurging on a movie ticket (which are like $15 now, WHAT!?) it's only if one of us is watching a movie that we are absolutely dying to see. And as often as possible, it's on a Tuesday, when tickets are half price. Last Tuesday I saw La La Land while B stayed home with our kids, who have been on Christmas break for approximately 78 days (Or does it just feel like that? Ahem.) It was FABULOUS. I won't do the film justice by trying to describe it myself, so I'll just tell you that it transported me, completely. I forgot where I was, what era I lived in, what I liked and disliked. That's good acting and good writing for you. I left the theatre feeling the way I do after finishing an incredible, long novel. Sad it's over, gratified by the experience, impressed and touched. I had tears in my eyes and wasn't sure why, and big goofy grin on my face as I left to do groceries on foot in freezing rain. This movie was THAT good. Watch it. Right now I'm reading two books simultaneously and loving each a lot. Modern Lovers by Emma Staub and Elizabeth and Philip by Charles Higham and Roy Moseley. I bought them both at the thrift store (my favourite one is the Value Village at Namur Metro for books!) for under $4 each and though I've been reading them nightly before bed, I still have so much more to read for each. I love really long books! Elizabeth and Philip tells the untold story of the Queen and her Prince and has totally filled The Crown-shaped void in my heart. Last year when I read all 800 pages of Bonhoeffer's biography, I remembered how much I love reading history and biographies, even if they tend to be stinking long. 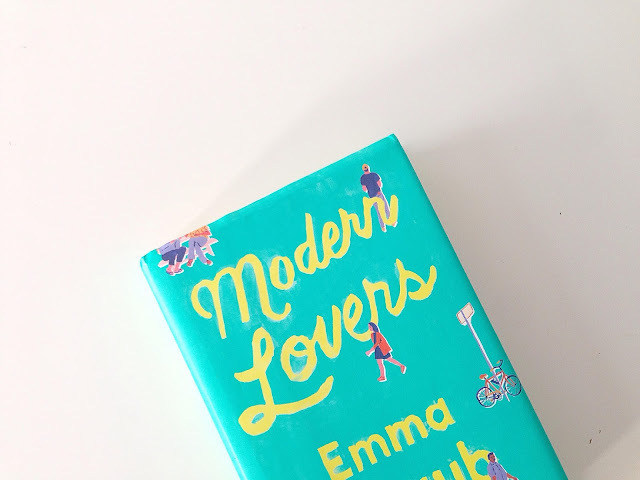 Modern Lovers is great so far and tells the story of forty-something Brooklynites who happen to be former band mates, whose kids start to fall in love. I love the dual take of city kids and urban parenting and everyone trying to figure it all out. Over the break my brother's girlfriend introduced me to a few new bands that I'm really loving! Knowing I love CHVRCHES she recommended Canadian artist, Grimes and Norwegian artist, Aurora. Love the sound of both so much! disclosure: This post contains affiliate links, so if you end up buying one of the books I recommended (or anything thereafter) via the link I've used in this post, I'll get a small commission. Thanks for supporting this blog and my writing! 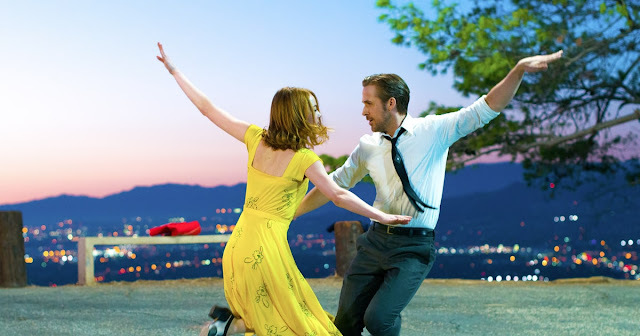 Also, I now really, REALLY want to see La La Land. The preview reminded me a little of "Singin' in the rain"..